SINN has been creating high-quality mechanical watches since 1961. Owners appreciate their high level of performance, their robustness and durability, as well as the quality and precision. Functionality is the highest priority. SINN timepieces feature a number of technical highlights that are included for practical reasons, and not because they are fashionable. 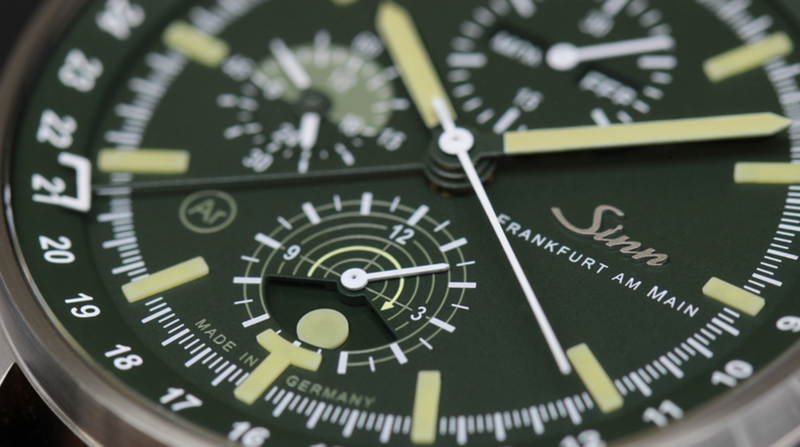 In 2017 SINN moved into a new headquarters in Frankfurt with their production of watches and direct sales from a dedicated showroom. SINN was the first company to manufacture diving watches that complied with European diving equipment standards, and the first to test and certify them for pressure resistance, water−resistance and resistance to fogging. These watches are distinguished by their connection with Frankfurt am Main, the internationally renowned banking and stock exchange center and the home of our company since 1961. These watches have their origin in cockpit navigation clocks, which have a long tradition at SINN. Both require perfect readability and the highest standards of accuracy. These classic timepieces rank as primus inter pares (first among equals) in our product range, as they represent an exceptional synthesis: esceptional timepieces that captivate their owners with esthetic brilliance as well as outstanding functionality. Mission Timers (Einsatzzeitmesser or EZM) are watches which have been specially developed for a particular purpose. They always offer excellent readability. This means: the form is always dictated by the function and handling requirements.